The quiz was a great success! Colin for his donation of labour to paint a room! Earlier that day I had another niggle on a very short run, so I went and got a deep tissue massage on my calf. Very painful and had me doubting that I would reach the start line. Which frankly speaking is an emotional rollercoaster to be on. One hour I was feeling I was going to make it, the next a twinge would happen and theres me thinking (rationally) that if I couldn’t run a mile on Saturday then how will I run 26.2 on the following weekend. However I saw the physio on Thursday and the calf seems to have been sorted by the deep tissue massage. I now have some KT tape the physio gave me as a kind of placebo, it distracts from any discomfort there, and he gave me the advice to not think about it, watch a film, go to the cinema, read a book, argue with the wife even but dont think about the calf. Huzzah! 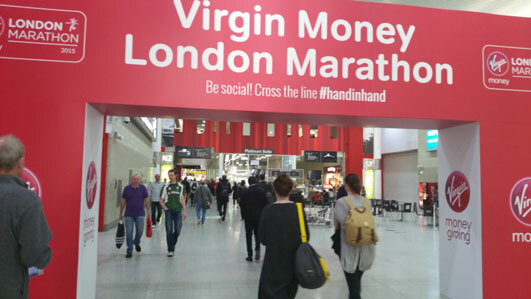 The next stop is the Marathon Expo at the London ExCeL center. This is where you get your timing chip, marathon number and all the freebies you can find, frankly I had a mini carb up session with all of the oaty bars they had on offer. I don’t like oaty bars but who can turn down a freebie? But the concentrated beetroot juice is a bit of a slap in the face! they even had a DJ there! 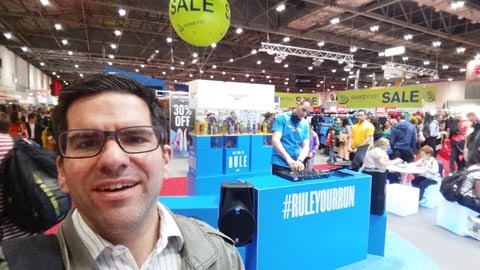 anyway the expo was larrrge, and following the well known advice of “try nothing new on marathon day” I was tempted by everything but purchased nothing, although there was a fantastic pair of pants for sale, it was just too risky ….. Now I have lots of little things to try out. 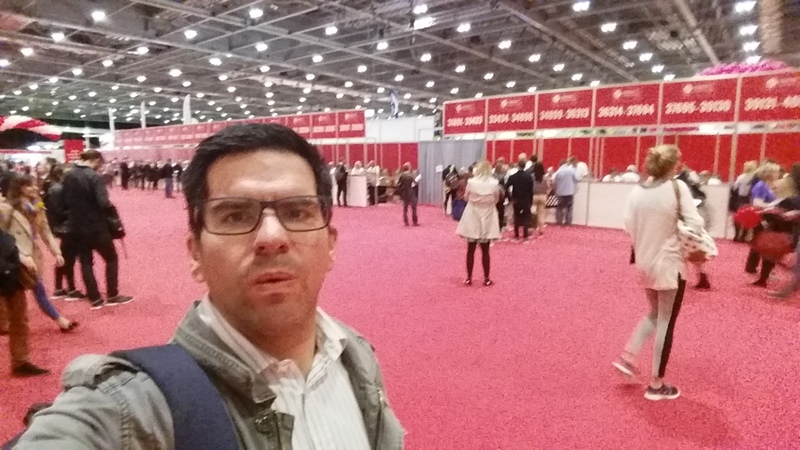 The expo would have been better earlier so people could try stuff out before the big day….